Is the future rosy for gas and oil? UK oil and gas production over the next 30 years could be 2.8bn barrels higher than previously forecast, says Jeremy Cresswell. Globally, more projects are coming onstream, as the oil price stabilises despite the continuing growth of “unconventional” production in North America. On the UK Continental Shelf, the “Maximising Economic Recovery” strategy looks set to open up more opportunities to exploit hard-to-reach assets. The future of the UK oil and gas industry is looking much rosier than previously expected. Jeremy Cresswell examines what’s behind the upswing. UK oil and gas production over the next three decades could be 2.8bn barrels higher than previously anticipated, according to the Oil & Gas Authority (OGA). Although production fell 2.6% over fiscal year 2016/17, new research by the North Sea regulator said output had been “maintained at a level not seen since 2011”. OGA has now revised upwards its UK Continental Shelf (UKCS) projection for the period 2016-50 to a total of 11.7bn barrels of oil equivalent (boe). The back story to this is complex. But two key elements are the “Indian summer” of significant projects still coming onstream, and a drive to maximise UKCS economic recovery (MER) advocated in the Wood Review of 2014. Norwegian analysts Rystad Energy said 13 UK new field developments will probably be sanctioned this year, versus only four approved over the past two years. “Whereas the four UK projects that received final investment decisions (FIDs) in 2016 and 2017 represented some 123m boe of reserves (including the cross-border Utgard field), the 13 FIDs projected in 2018 represent about 550m boe,” said Rystad. The price squeeze only started to ease in H2 2016 and today oil is a fairly stable $60-plus. The optimism expressed by the OGA and Rystad is despite damage inflicted by the downturn that began in 2014 and knocked oil prices down from $100-plus to sub-$30. The price squeeze only started to ease in H2 2016 and today oil is a fairly stable $60-plus. The UKCS is now a mature energy province that is still fighting for survival, threatened primarily by the battle for supremacy between the OPEC cartel of producers, Russia and the US. The last of these three players has, in effect, altered the entire pricing structure for oil because of the onshore shale gas and oil revolution in North America. The US is now on a par with Saudi Arabia as a crude producer and may eclipse Russia as the world’s largest before the year is out. The International Energy Agency (IEA) has just stated that the Americans will supply much of the world’s growing demand for oil over the next five years; the IEA also forecasts that the US will be able to export 5m bpd (barrels per day) by 2023 and build production capacity to a staggering 17m bpd. Overall global capacity may then be 107m bpd, compared to 96m bpd at present. While shale poses a near- and long-term threat to high-cost provinces like the North Sea, the surprises from the States don’t stop there. In January, the Trump administration set the ball rolling for a policy shift that could mean opening up nearly all US territorial waters to oil and gas exploration, potentially unlocking up to 65bn boe (according to Rystad). One prediction is that US offshore exploration could reach a new peak after 2030, with some 200 exploration wells drilled per year on average, implying annual investment levels of some $15bn. Back to the present. The UK North Sea is not the only phoenix rising as $60 oil is encouraging the development of discoveries banked worldwide. Indeed a flurry of delayed FIDs during Q4 last year led to an encouraging industry statistic: delayed projects sanctioned during 2017 more than doubled over the combined count in 2015 and 2016. As many as 18 previously delayed projects reached the FID stage during 2017. 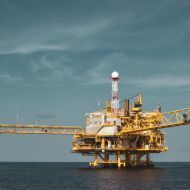 These included the sanctioning of a pair of Brazilian floating production vessel projects, a couple of subsea tiebacks – connecting new discoveries to existing facilities – in Angola and China, and an onshore oil development in the United Arab Emirates. The count was just two for 2015 and five for 2016. US unconventionals caught us by surprise. Rystad has tracked FID delays since H2 2014 to post-appraisal pre-sanctioned upstream projects. The 25 delayed projects launched since collectively hold around 16bn boe of reserves and may cost about $87bn to develop. Andrew Reid, CEO of Westwood Global Energy Group, is uneasy about rising US production and the resolve to hold to quotas among the OPEC member states. He sees the North Sea as particularly vulnerable to such forces: “US unconventionals caught us by surprise. Offshore including deep water is back on the table because costs have dropped. What does that mean for investment anywhere? Andrew said: “Evercore ISI has done a survey of 400 oil and gas companies regarding expenditure plans for this year and what that’s telling us is that growth is expected ... 7% by their reckoning. And that’s building on the 4% of last year; albeit this follows on from a 33% drop during the last downturn. “Most of that growth (15%) is coming from North America and the US while other locations like Russia and the Middle East are seeing 8-10%. But while the US might be catching the headlines with shale, offshore including deep water is back on the table because costs have dropped considerably. US shale markets are coming under increasing pressure and costs are back on the rise, perhaps by as much as 15% this year alone. Offshore, costs are being contained in part because there is huge overcapacity in capability and hardware, coupled with not enough demand. It means that, as things pick up, cost inflation is likely to be muted, in the short-term at least. This year the expectation is that subsea wellhead production tree orders will pick up to 250, versus 200 in 2017. Andrew added: “This year’s subsea wellhead trees market [this involves the supply of valve assemblies that sit on the sea floor and control the flow of oil and gas from a well] is showing signs of picking up again, at least in terms of concept tendering and front-end engineering. “This year the expectation is that subsea wellhead production tree orders will pick up to 250, versus 200 in 2017, but any further rises hinge on final investment decisions being made on projects being taken out of the freezer. Broadly, the supply chain has taken a hammering over the past three going on four years with the prospect that “2018 could be quiet” in the North Sea. However, one part of the supply chain resident in the UK that is within a reasonable shout of prospering medium-term is subsea. And the catalyst is hundreds of what are called “small pools” of oil and gas found in the North Sea and worldwide but which have never been developed because of cost and technology issues. That situation is changing and three organisations must be given credit for getting things moving. They are: the OGA, the National Subsea Research Initiative (a cell of Subsea UK) and the Oil & Gas Technology Centre. This is where a third leading analyst house comes into the picture; Wood Mackenzie has carried out significant research into the small pools opportunity. Indeed, WoodMac analyst Mhairidh Evans delivered what was probably the most exciting of any presentation at this year’s Subsea Expo in Aberdeen in February. We think small pools are going to be a big part of pushing back (against decline). 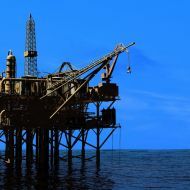 It was SSUK’s National Subsea Research Initiative (NSRI) that started to estimate the size of the oil and gas small pools prize on the UKCS about three years ago. This opportunity is now a core theme at the OGTC. There are around 3bn barrels of “stranded” resource – that is, discovered oil or gas reserves that are uneconomic or impracticable in terms of commercial exploitation – to play for on the UKCS. How, though, does one actually extract the prize and make money? “We think small pools are going to be a big part of pushing back (against decline), pushing up development spend and delaying decommissioning spend,” Mhairidh told a packed room. While there may be a golden opportunity, however, the number of infrastructure “hubs”, including subsea with more than one field tied in, is falling fast as fields run out of extractable oil and gas. All told, WoodMac has identified 37 hubs as potentially benefiting from the development of small pools, but the clock is ticking as many are old. According to WoodMac (and NSRI), there are around 3bn boe locked up in 275 undeveloped small pools of 3-50m boe on the UKCS. Of these, 2.5bn boe are within 25km of appropriate infrastructure with an economic life beyond 2022. Examining the economics, of each of those discoveries and based on $50 oil – the assumed price against which most projects are currently being assessed – that knocks the perhaps developable resource down to 1.5bn boe. View such pools against a $65 price – not an unreasonable assumption – and a further 300m boe of resources in this category become potentially economic. The subsea market represents one of the best global offshore opportunities for the UK-based supply chain. According to Mhairidh, if the OGTC’s “Tie-back of the Future” approach is taken into the frame, this could add a further 400m boe worth $4bn of value. But this necessitates new approaches, including the development or maturation of innovative subsea technologies. Many individual discoveries make up that 1.5bn boe of potentially economic resource and WoodMac has figured that they could collectively consume $18bn of capex to develop; generating $10bn in value to partners. The OGTC’s Tie-back of the Future initiative could lead to a 50% reduction in subsea facility and abandonment costs, and a 50% reduction in time from FID to first oil. The subsea market represents one of the best global offshore opportunities for the UK-based supply chain. Indeed it is the jewel in the crown and could be an opportunity for the UK industry far beyond its home turf. Exploiting small pools is about “maximising economic recovery” and the WoodMac database holds data on a huge number of small discoveries worldwide just waiting for the right solution to unlock their commercial potential. We’re in a ‘sweet spot’ at the moment, to have another real push at the supply chain engagement issue. The beauty of what Mhairidh advocated at Subsea Expo is surely music to the ears of Bill Cattanach, Head of Supply Chain at the OGA. He is keen to stimulate this with the new Supply Chain Action Plan (SCAP) initiative, which at the time of writing was due to be launched on 1 April. Though aimed at the relationship with UKCS oil producers, SCAP is expected to help hone that supply chain’s capabilities, enabling companies to compete effectively in global markets. “We’re in a ‘sweet spot’ at the moment, to have another real push at the supply chain engagement issue,” said Bill. “Back in 2000, the UK North Sea was producing 4.2m boe per day. But that was the peak. Now it’s around 1.7-1.8m boe. The basin has become very mature. What does the future hold for North American oil?